Hier kommt die Vorschau zum IDW Comic Transformers: Robots in Disguise Ongoing Heft 13. Wir haben hier einige Seiten vom IDW Comic Transformers: Robots in Disguise Ongoing Heft 13, zu denen John Barber etwas sagt. PAGE 1- Starscream is talking to the comatose Megatron, who was heavily blasted by the Autobots in the previous issue. Given these 2 have so much history between them across the Transformers franchise, how do you go about putting another spin or direction with them, showing us something brand new between them? JOHN BARBER: I think there’s been a conceptual change in their relationship. It isn’t that Starscream is trying to usurp Megatron, or trying to fill Megatron’s shoes anymore—it’s that Starscream has found more of a Starscream-way to get what he wants. The problem is that he knows Megatron will bring in the old status quo of Autobots versus Decepticons—and Starscream knows neither of them will win that way. In next month’s TRANSFORMERS SPOTLIGHT: MEGATRON comic that Nick Roche wrote and drew, we see them at an earlier point in their history—not long before the start of the current ROBOTS IN DISGUISE and MORE THAN MEETS THE EYES comic book series, The relationship then is very different. I think comparing the two comics really makes the changes that occurred to Starscream over the last couple years. PAGE 2- Starscream continues talking to Megatron, until he sees him smile. Right now, does Starscream really believe in the whole peace concept, or could this just be another one of his games that he plays? JOHN BARBER Starscream is a complicated fellow. This whole issue is from Starscream’s point of view—and it’s the second of those in a very short amount of time. So despite the fact that we, as readers, really get to see in Starscream’s head… I don’t think the answer to what Starscream really believes in is clear yet. I think he’s being pretty honest in what he says to Megatron, though. PAGE 3- Starscream reacts to Megatron’s “smile” as rioting continues on Cybertron. When planning out RID, was this scene something you thought up very early and worked on from that point? JOHN BARBER: Well, Megatron’s return was part of the story from day one, and the impact that return would have on Iacon was planned from the beginning. Starscream’s relationship with Megatron—or his relationship with the idea of Megatron—was definitely key to the whole story of RID, so that was pretty solidly in place. The idea of Starscream trying to talk Megatron out of what Starscream assumes he’s doing… that came a little bit later. I mean, the series wasn’t constructed to work toward this scene; this scene came out of what the story was working towards. PAGES 4 and 5- Chaos continues on as Needlenose continues to lead the rioting and Starscream reflects on what happened the previous year and where he stands. Is the established peace about to literally blow up in its face from this point? The planets future is starting to look dark again. JOHN BARBER: I don’t know if it ever looked that bright. But you’ve hit the question right on the head, so to speak. There are enough Decepticons—and we’ve definitely seen enough Autobots, too—that, at some level, want the war to continue. It’s the only life they’ve known, and there are also millions-of-year-old resentments that don’t die easy. The Decepticons have been pushed to the side for the entire run of RID. There’s only so far you can stretch them before they break. Hier ist die Vorschau zum IDW Comic Transformers: Robots in Disguise Ongoing Heft 14. Der IDW Mitarbeiter hat seine Kommentare zum IDW Comic Transformers: Robots in Disguise Ongoing Heft 14 gegeben und die haben wir jetzt hier für euch. PAGE 1- The rioting Decepticons, as seen in the previous issue, are gone thanks to Metalhawk's efforts. Having introduced the character in the first year of RID, how do you think the character has changed from issue 1 to where we are now? JOHN BARBER: Metalhawk was away from the action for most of the war. When he came back to Cybertron, back at the start of this series, he didn’t know who was who, who’d done what, or why anybody was acting like they were. He’s definitely learned the lay of the land since then, but he’s still very much an outsider in terms of really understanding the main conflict. He gets it a little more now, but he hasn’t been on the front lines like Bumblebee or the others. As readers, I think we’ve learned more about him, and what makes him tick, a little more. At first, the idea was that we wouldn’t be able to tell if he was honest or if he had Machiavellian plans going on. Plus, as readers, we’ve been privy to all kinds of details about the Autobot/Decepticon war, and that, combined with Metalhawk’s general demeanor, kinda made him irritating. Now I think we know him a little more—we’ve seen his contradictions and his flaws and he’s a little more human… well, you know what I mean. I know some people don’t trust him yet—fans, I mean—and maybe they’re right. Whatever the case—he can still be pretty insufferable. But he was able to get most of the population off the streets, when Starscream and Bumblebee’s efforts were fruitless. PAGE 2- Metalhawk reports in and Prowl’s deception from the previous issue is revealed. Events have been building up to the next few moments. When actually coming to doing the issue, were any pages like this clearly pre-though out or did they just lay themselves in any surprising ways? JOHN BARBER: Well, everything with Prowl was planned from the outset, and his actions over the course of the series were very deliberate. I mean, everything he did had to map onto what he was pretending to do, and also what he was actually doing. If that makes sense. Like, if Prowl gave an impassioned speech to Bumblebee to keep Bee going, it had to make sense in terms of what the reader thinks Prowl was doing, not just what artist Andrew Griffith (and editor Carlos Guzman) knew he was really doing. So, in that sense, everything had to be pretty much thought out. In terms of this scene, and the reactions of characters… Blurr is ready to believe the worst—and not without reason—but even Sideswipe has to admit he sees his point. There are little surprises here and there with how characters have grown over the series, and how they react to events. Like, when Bumblebee ordered that the Autobots open fire on Megatron when he returned—that wasn’t in the original outline, I just realized that that was what Bumblebee would do at that point. And Megatron wasn’t counting on that, either, so events had to adjust. Anyway—Andrew just does such a great job making it all sing and acting the reactions of Sideswipe and Blurr and everybody. PAGE 3- Dirge reveals that Prowl has been working with the recently returned Megatron for quite some time. It’s a question of what to do next. With his world collapsing around him, is the focus still going to be how Bumblebee deals with situations as a leader, even in the most dire of circumstances? JOHN BARBER: Well, Dirge doesn’t say anything about time, or how long anything’s been going on. Bumblebee… well, it would be nice if Bumblebee figured out what to do here, yeah. PAGE 4- Prowl and the Decepticons together, and Megatron requires a new body. How much design work goes into producing these Cybertronian looks for the characters? Are they made with other products in mind? JOHN BARBER: It’s super-easy for me! I just type their names and say to make them look cool, and boom, there they are! Seriously, Andrew Griffith knocks himself out on these. He sometimes bases the designs on existing toys or on the video game looks, but always brings a little flair to it. And other times they’re new designs entirely, like Prowl… and you’ll find out why Prowl is like that later this issue. We don’t really have other products like toys in mind per se, but there’s a lot of back and forth between the comics and the toys, as you might have seen at Toyfair, where Hasbro revealed some new Transformers figures that tie in directly with the comics. It’s all great fun—the guys making the toys are loving what we’re doing; everybody making the comics are loving what they’re doing. It’s a fun time. PAGE 5- Bumblebee, Metalhawk and others are pondering about the Decepticons next move. This issue marks a huge shift in the series. Has it always been the intention to explore the facets of peace and how they affect a given society? JOHN BARBER: Um. Yeah, this is a big change. We’ve been looking at how a society tries to stay together, and rebuild after a war. There are always questions of freedom and security and justice looming over everybody. Sometimes imagined threats, or perceived problems, can give room for bigger, real threats and problems to grow. It’s also about a society trying to change… there are always forces from within that want to stop any change from occurring. Fehlt ja irgendwie so ein bisschen wenn man schon mit "More than meets the eye" angefangen hat. Bis auf die Annuals, wo RID MTMTE fortsetzt, sind die Reihen weitesgehend unabhängig. Man verpasst eigentlich nichts, wenn man nur eine liest. Auch wenn man das RID Annual nicht als Fortsetzung vom MTME liest, verpasst man nichts. Wenn ich mir aber die kurze Inhaltsangabe zum kommenden RID Heft 17 ansehe, dann scheint es so, als ob die Reihen in Zukunft doch zumindest etwas ineinander greifen. Davon abgesehen vermute ich sowieso, dass die Reihen irgendwann in der Zukunft mit einem "Crossover" enden werden. Aber das ist nur eine Theorie. Hier ist die Vorschau zum IDW Comic Transformers Robots In Disguise Heft 15. Hier haben wir die Vorschau zum IDW Comic Transformers Robots in Disguise Heft 15. Wir haben hier Skizzen aus dem IDW Comic Transformers: Robots in Disguise Heft 15. Dazu hat Andrew Griffith seine Kommentare abgegeben. TRANSFORMERS: ROBOTS IN DISGUISE #15 hits the stands today, courtesy of IDW Publishing and Hasbro! Bumblebee and his provisional government have had to face a lot over the past year… but they never imagined they’d have to fight an angry Devastator with Prowl as its head! In honor of this action-packed issue, we sat down with artist Andrew Griffith to take a look at his original pencil art! The comic, by Griffith and writer John Barber is available at comic book stores everywhere and at https://transformers.comixology.com/ or via the Comixology and iBooks apps on your computer or mobile device! PAGE 1- We’re inside the Autobot Med-Center as the action goes on outside—there’s quite a few different ’bots in here, all—of course—with different designs. Did you spend a lot of times on this page, making sure everyone was correct and adding the various states of damage? ANDREW GRIFFITH: Well, since I only pencilled this, I had to leave a lot of that up to the inker [Brian Shearer]. Maybe it’s just me, but I find I can only put so much detail in with pencil before it becomes a smudgy mess. But I did make sure to let Brian and [colorist] Josh [Perez] know who the guys were, that were intended to be specific characters. PAGES 2 and 3: When designing Devastator, did you have any kind of specific brief to follow, other than including Prowl as a vital component? And were you given much freedom in the design? ANDREW GRIFFITH: Yes, there were definitely specific aspects of his design to keep in mind, some of which I shouldn’t even hint at so as not to ruin anything about issue 16. I had a good bit of freedom in his design. The toughest part was the fact that John wanted Prowl to be the head and part of the torso, so I wouldn’t be able to just use Prowl as a leg in place of the deceased Scrapper. And I wanted to keep some of what Guido [Guidi] designed for ALL HAIL MEGATRON, so hopefully there was some of that look still there. I did have to add the purple chest shield back in though, because if I would have left it off like Guido did, Prowl’s integration into Long Haul’s section just didn’t look very good. PAGE 4: The Autobots fight Devastator, which doesn’t seem to go well. When doing the drawings, do you take a much of a vested interest in the characters, knowing what might happen further down the line, and maybe not denting up the ones you like better as much as others? ANDREW GRIFFITH: Doesn’t go well for the Autobots, you mean? Seems to go pretty well for Devastator, though. Well, the way John likes things to go, everyone ends up pretty well beat-up and dented. But sometimes damage to a particular character has to be kept in mind very specifically, such as Metalhawk’s gutshot wound, or Bumblebee’s crumpled face. The best stories are character driven as far as I’m concerned, and the characters are what draw me most to Transformers, so I think it’s safe to say I take a lot of stock in how the designs and wear and tear reflect on specific characters. There’s some battle damage that’s appeared in recent issues that even provides a bit of foreshadowing, if you know where to look. PAGE 5: Megatron watches as the destruction on Cybertron continues. Again, with Megatron in his new body, why did you make the choices you did in this design? Were there many different versions before settling on what we see here? ANDREW GRIFFITH: Not really, this was the only real design that I came up with. The idea was to make a Megatron that was indicative of both his original G1 look and his pre-Earth comics design, as seen in STORMBRINGER. Sort of your quintessential Megatron. So… hopefully, I pulled it off. I hope to get the design I did for him out somewhere in the near future, as well as some of my designs for Devastator and how Prowl’s section fits in. Hier haben wir das mögliche Cover zum IDW Comic Transformers: Robots in Disguise Ongoing Heft 16. Wir haben hier eine kleine Vorschau auf das IDW Comic Transformers: Robots in Disguise Ongoing Heft 16. Wieder ein sehr gutes Heft. Heute haben wir eine bessere Vorschau auf das IDW Comic Transformers Robots In Disguise Heft 16. Wir haben hier einige Bilder aus der IDW Comicsammlung zu Transformers: Robots in Disguise Volume 3. Von dem Zeichner Marcelo Matere haben wir hier eine andere Variante des Covers zum IDW Comic Heft Transformers Robots in Disguise 16. Jetzt haben wir einige Seiten aus dem IDW Comic Transformers: Robots in Disguise Heft 16 zu denen John Barber seine Kommentare gegeben hat. PAGE 1- The might against Megatron continues with Bumblebee and his team. Considering the different factions trying to live together on their home world, was there ever a right or wrong in the decisions he took? Or was it simply that he wasn’t strong enough to hold them all together? JOHN BARBER: That’s a good question. Bumblebee was trying to do what was right, and here—battling Megatron—it’s clear what needs to get done. But would Megatron have had support, would the Decepticon masses have followed him, had it not been for Bumblebee’s policies? He locked them up, he put in the Identification/Deterrence chips, and even once those were gone, he still clearly didn’t welcome them with open arms. I mean, Bumblebee had reason to be angry at the Decepticons, and reasons to not trust them. So maybe he never had a chance. There isn’t really a clear-cut answer, as to whether Bee was right or wrong, and that’s one of the big themes of the series. I hope the readers will argue about it. Was Bumblebee too weak? That’s how he sees himself, and how some of the others see him. Maybe he was just in the wrong place at the wrong time, though. Could anybody have accomplished what he set out to do? Again—I don’t mean to evade the question, it’s that the question is the main thing about the series. I don’t want to cop out on anything, but the question is more interesting to me. And hey, if I had the actual answer, I should be ruling the world myself. PAGE 2- Megatron, Devastator and the other Decepticons pile on the pressure. You think right now Starscream is regretting the things that he has done prior to this issue, and not done what might have previously done before? JOHN BARBER: Starscream thought he was playing everything correctly for a while—up to issue 11—then he had a crisis of… well, not “conscious,” as this issue will demonstrate… but a crisis of faith in himself. I’m sure that, in his head, he’s running through every action he’s ever taken, but I don’t think he has Bumblebee’s capacity for self-reflection. He’s more likely to see any failure as a failure of circumstance, not of himself. But this was a big fall—he was about to gain control of the city, and then Megatron showed up and ruined everything, so it’s a crushing blow. Anyway—he definitely doesn’t have Bee’s capacity for beating himself up over his decisions.Actually, his ego probably protects him a little here (like Prowl’s does). What is why, at this point in the story, even if it doesn’t look like it, he is actively looking for any opportunity amidst all the action. PAGE 3- Arcee and Sideswipe do their best to carry on the fight back. With Arcee, was the plan always to make her as ambiguous as possible until she was forced into making a decision on where she truly stood? JOHN BARBER: Yeah—Issue 18 is where we actually get into her head, and see how she thinks. She just approaches things from a way that other Cybertronians don’t. Her worldview is skewed by all the events in her life—I mean, everybody’s is; it’s just that her event are just a little more unusual. So, yeah, she was definitely keeping quiet about what she knew, who she would side with, all that—until she had an opportunity to strike most effectively. Which, I don’t think exactly worked out—she definitely didn’t want out-of-control Prowl-Devastator running around, so it’s not like she actually succeeded in her plan. But things could have been worse. Nevertheless, from my perspective, she’d have been better off going to Bumblebee in issue 4. But she didn’t think he’d trust her, and Bee definitely didn’t act like he was looking to trust Prowl’s secret warrior. So she didn’t think that was a legitimate possibility. And now, hey, look what all that mistrust has sown. PAGE 4- Ironhide and the Dinobots pile in to provide reinforcements? Considering what is happening to his friends, do you think Ironhide is certain that the visions of the future he saw are going to come true, despite the devastation around him? They seem to have been driving his recent actions. JOHN BARBER: Ironhide has come to realize that, even if he believes what he saw, there are multiple ways of looking at “fate.” He can just sit back and let the future happen, or he can take an active role. And if he takes an active role, he has to be himself. Beyond that—well, there’s more to come. PAGE 5- Ironhide literally tries to knock some sense into Prowl/ Devastator’s head, and Bumblebee can see the tide of battle turning. This issue marks the end of the current arc in the series. In the grand scheme of things to come, how important are the issues we’ll find within these pages? JOHN BARBER: Very. I mean, this issue is the close of the first big RID story arc. The story of Bumblebee versus Starscream versus Metalhawk struggling for control of Iacon comes to a close this issue. And however it works out, any one of them (or none of them) “winning” control of the city will change the face of Cybertron. There’s a lot going on in this issue, a lot of stories coming to a close, and it all matters a lot. Not everything ends here—we’re back with another issue in a few weeks—but all that comes will be built on what we’ve done here. And there will be impacts felt in our sister series, TRANSFORMERS: MORE THAN MEETS THE EYE, too. But I can’t talk about that without spoiling anything. I can say, that events from MTMTE spill into RID next issue… but if you’ve followed what MTMTE revealed about Shockwave, I don’t think that will be a surprise. Anyway—this comic, RID #16, will have repercussions in the comics—and maybe beyond—for some time to come. But I do want to thank all the readers who’ve read this series—and read MORE THAN MEETS THE EYE, and all the other Transformers comics, too—from the beginning, or who’ve come in during the run, or who are just joining us. Thanks for being there, hope you’ve enjoyed the ride so far, and it just gets better from here on out. 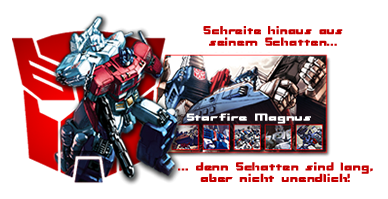 Dank Amazone.com haben wir die Cover Art von dem Trade Paperback Heft Transformers Robots in Disguise Nr. 4 hier. Hier haben wir einen kleine Vorschau zum IDW Comic Transforers: Robots in Disguise Heft 17. Heute haben wir die Vorschau zum IDW Comic Transformers: Robots in Disguise Ongoing Heft 17 für euch. Also wenn Livio Ramondelli wieder zeichnet, freu ich mich erst recht auf das Heft! Außerdem kann man das auch mehr oder weniger als Hinweis auf den Inhalt der Story sehen. Ich denke, dass es durchaus möglich ist, dass wir Orion Pax vor Heft 19 wieder sehen. Ansonsten bin ich gespannt, ob erklärt wird, wie Shockwave sich an sein Leben vorm Shadowplay erinnern kann. Kann natürlich sein, dass sie nur seine Persönlichkeit und nicht seine Erinnerungen verändert haben. Als Senator war er ja auch schon gegen das System, auch wenn es halt eher so aussah, als ob er sich den noch nicht gegründeten Autobots anschließen würde. Eine kleine Persönlichkeitsänderung später und schon könnten seine Symphatien eher bei den Decepticons liegen. Davon abgesehen, bin ich wie immer bei RID sehr gespannt, wie es im großen und ganzen weiter gehen soll. Hier haben wir eine kleine Vorschau zum kommenden IDW Comic Transformers: Robots in Disguise Ongoing Heft 18. Jetzt haben wir die große Vorschau zum IDW Comic Transformers: Robots in Disguise Ongoing Heft 18 für euch. Jetzt haben wir für euch 5 Seiten aus dem IDW Comic Transformers: Robots In Disguise Heft 18 für euch und dazu die Kommentare von John Baber. PAGE 1- This issue is told from the POV of Arcee. Was the challenge of finding her voice difficult, given her history as being the only established female character in the IDW universe? JOHN BARBER: Arcee’s personality was something that Andrew Griffith (the regular RID artist) and I talked about even before the first issue was done. So, the real leg-work on finding my take on her, on getting to know her voice, was really done a while back. I mean, like most of the other characters here, I’ve been writing her for a year-and-a-half or so. There’s an unusual extra scrutiny on her, for a few reasons. Her basic set-up in the IDW comics is pretty different than her set-up in the classic G-1 incarnation, or in Prime, or wherever. More so than most of the other characters, Arcee as handed to me was different in this universe in some fundamental ways. Add to that that she IS the only female character that we’ve seen in this comic book universe… well, nobody looks at Ironhide or Swoop or whoever and thinks that their actions at any given moment are a statement being made about all males in the real world. Because there are hundreds—thousands—of other male characters in RID and MORE THAN MEETS THE EYE. However, if Arcee does something, 100% of the female characters in the comic are doing that exact thing. I’m aware of that—but I try to deal with the specific character that she is. That’s kinda all I can do. Up to now, we haven’t had an issue narrated by her, because—for the sake of the story—the reader needed to be in the same position as most of the other characters, in not knowing her motivations or whose side she’s on. I’m glad to finally get readers into her head and see how she views the world. PAGE 2- The late Metalhawk was the NAIL (an acronym meaning Non-Aligned Indigenous Lifeform—slang for neutral Cybertronians who returned to the planet) who got the most attention. Did you intend for him to always be their voice or where there other characters originally just as vocal as he was? JOHN BARBER: Metalhawk was the de facto leader of the NAILs, and—like Arcee—he has to sort of walk the line between the general people he represented, and the specifics of his personality. But in Metalhawk’s case, it was a thing he was aware of; that was his actual relationship he had with the other NAILs, not his relationship with the reader. We got a little page-time with the NAILs on the ground—Skybyte, Hipotank, Tappet, Zetca, everybody at Blurr’s bar—during RID’s run, but Metalhawk was definitely the main character from that group, from the onset. PAGE 3- Is Starscream purely a believer in his “destiny” to leader Cybertron at this point (See RID 2012 Annual) or could this simply be just another way to have what he’s always wanted? JOHN BARBER: Starscream absolutely thinks the prophecy—any prophecy—is nonsense. It’s a means to an end, like literally everything else in Starscream’s life. To Starscream, there is no difference between what’s true and false—just what helps him and what doesn’t. But we see more of what makes him tick in issue 20. PAGE 4- With the planet still evolving after its restart as seen all the way back in RID #1, is the unknown the greatest fear these guys have for not wanting to leave? And given what Ironhide may have said about what he encountered? JOHN BARBER: Yeah, they don’t know what they’re facing. Megatron’s program of driving everyone crazy when they leave the city SHOULD be gone… but is it? They’re worried. I think the larger worry is: they lost. They lost to Starscream. And they lost in a way that—at this particular moment—is very difficult to recover from. They’re not in a position to retake the city of Iacon right now… and that’s certainly what they want to do. PAGE 5- Bumblebee and the other Autobots are leaving Iacon—maybe for good. Was this the only choice they could have made given everything that’s happened? Or could there have been other roads they could have been taken? JOHN BARBER: Well, they could have not lost. Starscream outmaneuvered them, and now—right now, at this moment—there’s no real way for them to stay without making things worse. Leaving is the less-bad option compared to getting in another shooting war in the city. They know they’d wind up fighting the people they want to protect—and at this stage, it’s not just the Autobots that don’t want to start fighting. Neither Autobots nor Decepticons wants to start killing civilians, here. Megatron’s out of the picture, but this time, the substitute Decepticon leadership isn’t the maniacal leadership that occasionally takes over—it’s Soundwave leading, not Scorponok, so the decisions are a little more measured. We’re starting to see the various groups that are coming into being. We have Shockwave in the Crystal City last issue; here we’ve got the Autobots reeling from the battle of Iacon. Next issue we’ll look in on Orion Pax—the former Optimus Prime—as he gets drawn further into the oncoming DARK CYBERTRON event. Also Heft 18 war mal wieder super. Mir gefällt Robots in Disguise mit jedem Heft immer mehr und mehr, weil sich die ganzen kleinen Teile langsam zusammenfügen und mit jedem Heft etwas neues offenbart wird. Das einzige was mir nicht gefiel, war die Reparatur von Bumblebee. Entweder hat da jemand Spotlight Metroplex nicht gelesen oder es schlicht ignoriert. Wobei ich auch schon Theorien gehört habe, dass Bumblebees neues Aussehen wohl nur vorrübergehend sein wird und wohl ein Repaint des kommenden 30th Anniversary Bumblebees, einen Goldfire Bumblebee, promoten soll. Wer absolut meine Hoffnung, dass sie jetzt wirklich nicht hingehen und Bumblebee im nächsten Heft erklären lassen, dass er jetzt Goldbug ist. Ansonsten freue ich mich sehr auf das nächste Heft, da dieses eventuell Orion Pax in die Haupthandlung einbinden wird. Allgemein bin ich gespannt, welches schreckliche Chaos Jihaxus für die Transformer bereit hält. Hier haben wir eine kleine Vorschau auf das IDW Comic Transformers Robots in Disguise Heft 19.